Continuously variable automatic transmissions are used in both fuel-powered and partially electrically powered vehicles. In studying the growing market for hybrid vehicles, the IHS market researchers forecast a 4% increase in their global market share from 15% today to 19% in 2023. BUDERUS Schleiftechnik, manufacturer of multi-functional hard fine machining equipment, has specialised in making highly accurate CVT components. Based on its grinding technologies, the DVS affiliate focuses on core components of continuously variable transmissions, and pairs of taper discs in particular, which meet very strict surface quality and production cost requirements. And all of this in one single setup. Especially in the Asia/Pacific region, continuously variable transmissions (CVT) are valued for the efficient and economic vehicle transmissions they support. Automatic CVTs never interrupt traction and are considered a particularly efficient solution, one reason being that CVTs are very economical, especially within the lowest specific fuel consumption range. This efficiency is based on the highly accurate machining of the core transmission components, i.e. the taper discs. 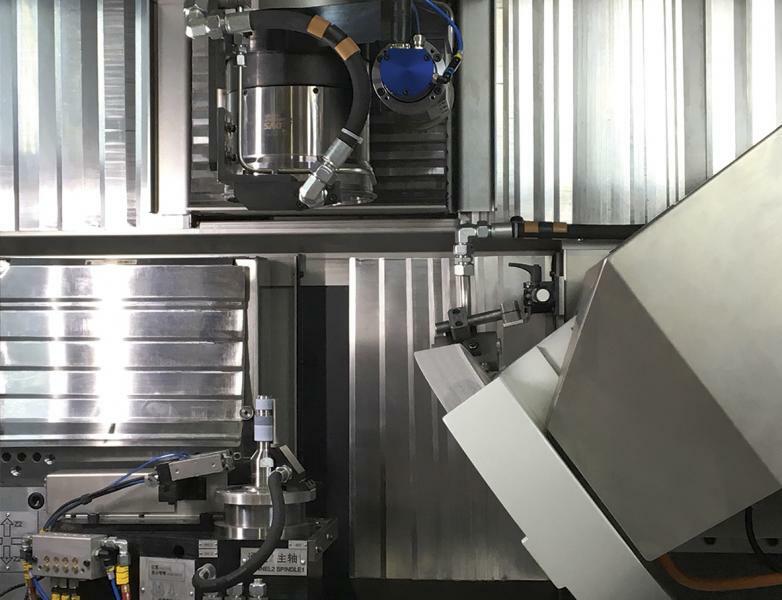 Over the last couple of years, BUDERUS Schleiftechnik, the DVS TECHNOLOGY GROUP’s producer of machines for combined hard fine machining processes, has evolved into the taper disc grinding technology leader. On a global scale, it has sold more than 50 BUDERUS taper disc grinding machines. Depending on the actual workpiece, BUDERUS Schleiftechnik uses various combinations of internal and external cylindrical grinding, face grinding, hard turning, bore honing, hard part reaming and thread grinding in a single workspace and not more than two setups. The company, based in the German state of Hesse, also designs and manufactures tailored automation and measuring systems. The hard fine machining of taper discs is technologically based on the BUDERUS CNC 235 machine series. 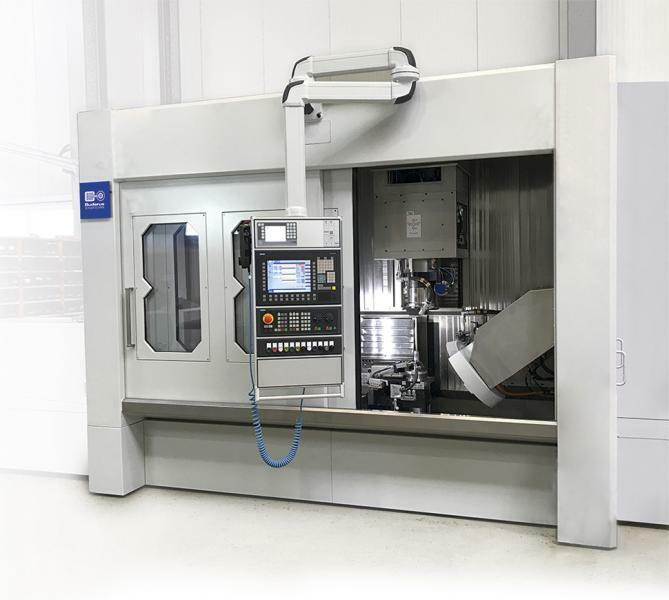 In the machine workspace, the workpieces are held by a collet chuck supplied by DVS partner company SWS Spannwerkzeuge from Schlüchtern, Germany. SWS and BUDERUS Schleiftechnik jointly designed the workpiece holding fixture which is distunguished by extremely high rigidity and vibration-absorbing machining actions. Since workpiece deformations and vibrations are thus avoided, the results are outstanding surface finishes and tolerances on shape and position. DVS affiliate NAXOS-DISKUS Schleifmittelwerke has designed grinding discs specifically adapted to the workpiece and the material to be removed in the process of simultaneously machining both the tapered surface and the bore. An innovative bonding system produces extremely hard, wear-resistant and break-proof tools which support higher cutting speeds and enhanced machining performance. 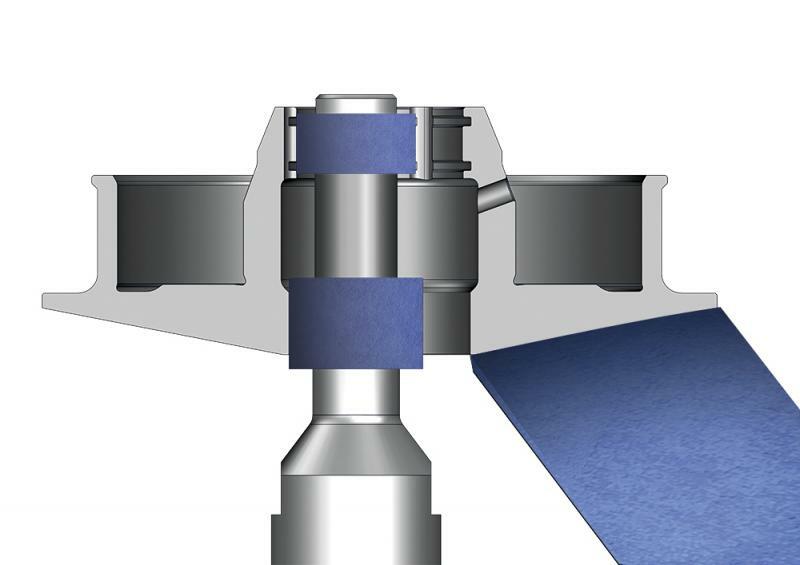 Furthermore, the cooling and flushing nozzles developed by BUDERUS Schleiftechnik minimise the clogging up of the grinding discs which extends the tool service life and reduces the dressing needs. Lower tooling costs thus make taper disc production even more efficient. 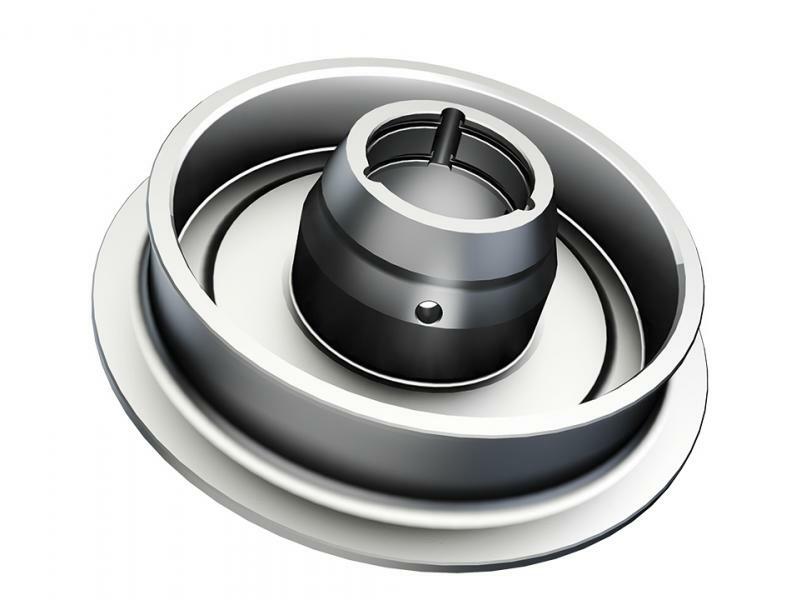 BUDERUS Schleiftechnik has developed a special dressing strategy in response to the unfavourable diameter ratio across the entire taper width and the ensuing differences in grinding speed along the contact zone. It involves a sophisticated dressing program which controls a dressing roller directly at the tool spindle. The specified surface roughness is thus achieved across the entire taper width. In-process sensors check the quality and return their readings to the control unit. At the next step, the grooves in the holes are scanned, averaged and ground down to the specified size by a CBN grinding disc. A separate profiled roller dresses the disc. Since this approach allows the taper, drilling and grooves to be machined in a single setup, bad re-chucking is avoided and tolerances on shape and position are highly improved in relation to the reference lines on the workpiece. 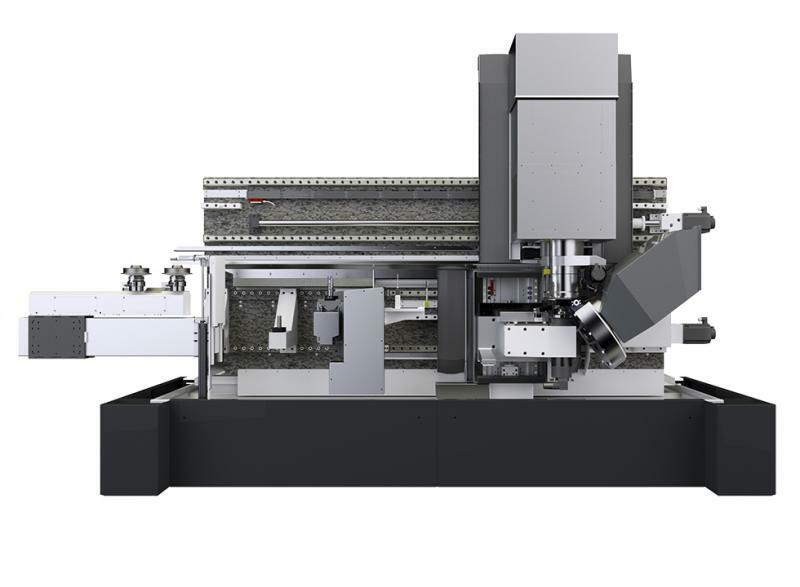 Owing to the modularity of BUDERUS machines, several machining modules can be installed and used simultaneously. Further grinding spindles, an extra tool spindle or lathing tools can easily be installed in the same machine, thereby lowering the customer’s space, investment and energy requirements. This end-to-end machining strategy also benefits customers by providing shorter non-productive periods, setup and wait times. All in all, BUDERUS Schleiftechnik provides an ideal system solution made up of a sturdy machine, smart technology and tool solutions perfectly matching the special features of every workpiece and able to sustain economically efficient and reliable CVT taper disc machining processes. Thanks to the grinding machine maker’s extensive expertise, even very narrow machining accuracy tolerances can be reliably achieved.